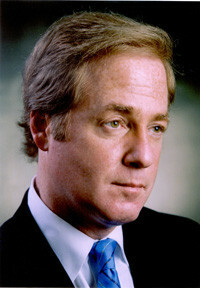 In 1986, he joined U.S. News & World Report where he worked as a national security correspondent. During this time, he authored two books: Secret Warriors: Inside the Covert Military Operations of the Reagan Era and The Fall of Pan Am 103: Inside the Lockerbie Investigation. In Secret Warriors, Emerson argued that technical breakdowns, bureaucratic disarray, presidential interference, and professional jealousy contributed to the inertia of America's elite forces. This perception may have played a large role in convincing him that government alone is inadequate to the challenges of modern terrorism. In The Fall of Pan Am 103, he promoted the theory?then held by the U.S. government?that Iran was responsible for the bombing of the flight over Lockerbie, Scotland, in 1988. Emerson's IPT focuses primarily on U.S.-based Islamist groups, some working in legal ways to undermine American society, others with links to terrorist organizations overseas. Along the way, he has created an unparalleled undercover investigative apparatus. According to Rep. Sue Myrick (Republican of North Carolina), cofounder of the bipartisan Congressional Anti-Terrorism Caucus, "The Investigative Project is the only one out there who is really doing substantial research into what is going on in the world and here in America. They are actually researching ? they are verifying how these [jihadist] movements are taking place. ? I don't know of anyone else who is doing the same thing." Emerson undertook effective investigations on his own before he started the IPT. Most notable was his 1994 documentary Jihad in America, which raised awareness of the threat of radical Islam in the United States. The film focused on a Palestinian, Abdullah Azzam, who founded the Arab Fighters Service Bureau in Afghanistan to recruit and train thousands of mostly Arab jihadists. Osama bin Laden, a prot?g? of Azzam's, cofounded the bureau and later transformed it into Al-Qaeda. The bureau's North American office, the Al-Khifa Refugee Center in the Al-Farooq Mosque in Brooklyn, soon became the hub of a network that included outposts in Atlanta, Chicago, Connecticut, and New Jersey. Interestingly, while in Pakistan and Afghanistan for several months in 1993, shooting the documentary, Emerson befriended Azzam's son Hodeyfa. The American Muslim Council (AMC) may have been Emerson's most dramatic expos? so far. He took issue with an invitation that President Bill Clinton extended in 1996 to Abdurahman Alamoudi, a prominent Muslim-American leader and the executive director of the AMC. The meeting between the president and Alamoudi was to take place in the White House. Clinton administration officials, including Clinton himself, Vice President Al Gore and National Security Advisor Anthony Lake, met with Alamoudi along with twenty-three Muslim and Arab leaders. According to Emerson, AMC had significant ties to Hamas and was a defender of Hamas leader Musa Abu Marzouk. Because of the notoriety Alamoudi received from the exposure by Emerson, the Clintons and President Bush returned Alamoudi's campaign contributions. This is an excellent example of how someone coming from outside the compliant structures of government can make an impact in political circles. Published in the Middle East Quarterly, Winter 2010, pp. 15-25.